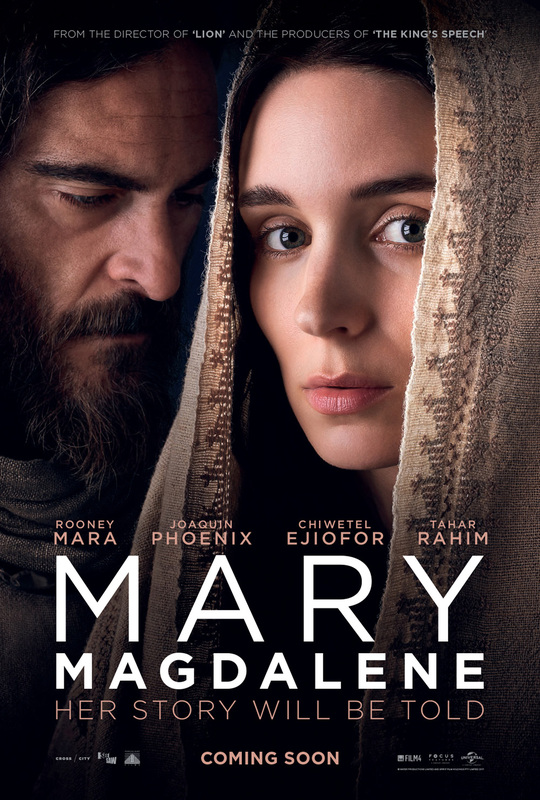 Universal Pictures has just released the trailer for its Lenten presentation – the Biblical drama Mary Magdalene from director Garth Davis (Lion) and starring Rooney Mara (The Girl with the Dragon Tattoo) and Joaquin Phoenix (Inherent Vice). Check out the trailer at https://youtu.be/OPVqzWNg-Dc and watch Mary Magdalene in Philippine cinemas March 21. Set in the Holy Land in the first century, Mary Magdalene is the story of a young woman who leaves her small fishing village and family to join a new movement. Inspired by its charismatic leader, Jesus of Nazareth (Joaquin Phoenix), and his teachings, Mary (Rooney Mara) sets out with the disciples on the journey to Jerusalem, where she finds herself at the centre of the founding story of Christianity. Mary Magdalene brings a unique and fascinating character to the fore and places her at the heart of the greatest origin story of all. Written by Helen Edmundson and Philippa Goslett, Mary Magdalene also stars Chiwetel Ejiofor and Tahar Rahim. Mary Magdalene is distributed in the Philippines by United International Pictures through Columbia Pictures.